Krakow is one of the most beautiful cities in Poland (many claim that it is, in fact, the most beautiful one). 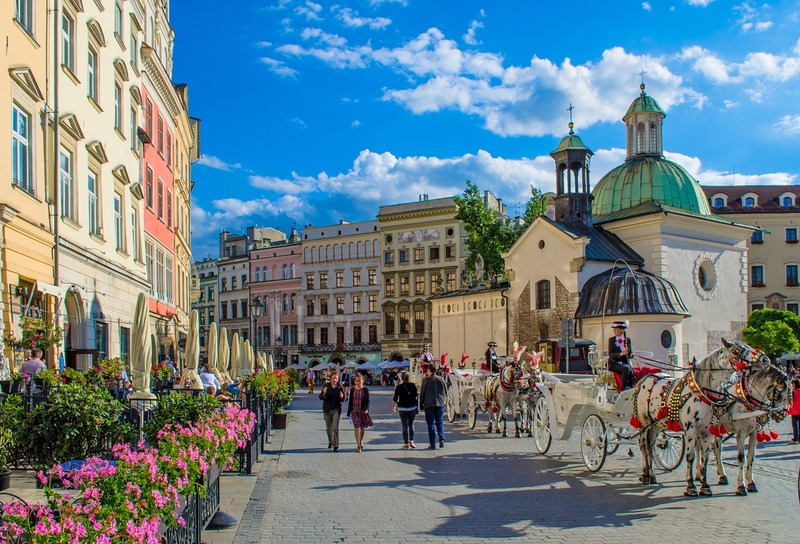 Krakow’s gorgeous squares, buildings, and castles, but above all its curious history, will make you fall in love. 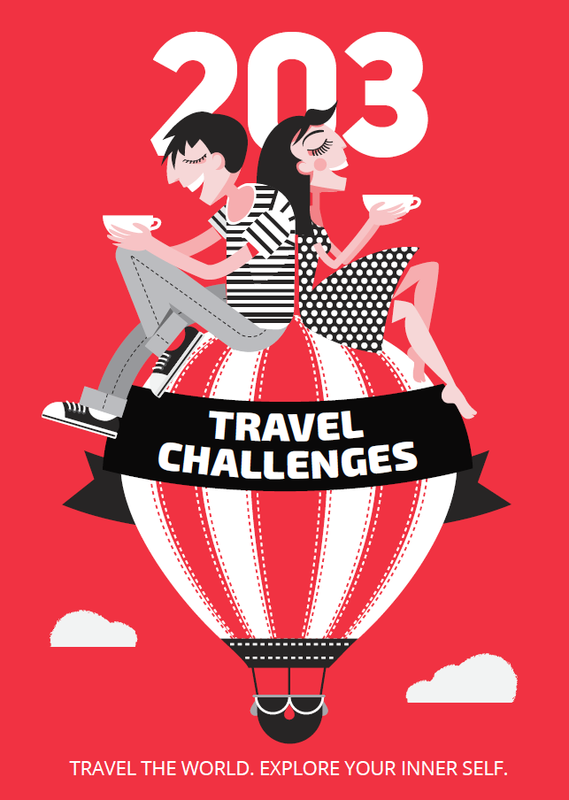 Below you will find 20 of the best places to visit in and around Krakow. The Central Square (Rynek Glowny) – This is one of the largest medieval squares in Europe and the starting point of 12 roads. The city’s rhythm is best felt here – hurried crowds, hundreds of pigeons, street musicians, cute little cafes, restaurants, gardens, flower shops. The square is also a favorite meeting point for the locals. Besides, you can find a long line of carriages – pick one and enjoy a romantic tour of the city. The square is surrounded by St. Mary s Basilica, Sukiennice Museum, and poet Adam Mickiewicz s monument. St. Mary s Basilica (Bazylika Mariacka) – This is the largest cathedral in Krakow. Its design is Gothic, with an altar decorated by 200 figurines, representing scenes from Virgin Mary’s life. The church has two differently shaped towers. According to the legends, two brother were hired to build the church. They decided to construct a tower for each, but one of them killed the other and made his own tower taller. Every hour on the hour, the pipe notes jolt trough the tower. The legend says that when the Tatars ambushed Krakow, the guard on the church’s tower signaled with his pipe, but an arrow hit him in the throat. The basilica is situated at the Central Square. 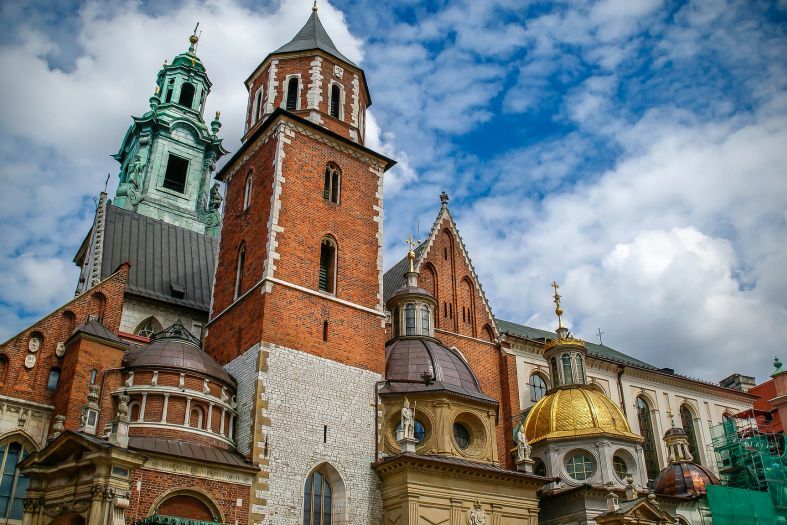 Wawel Castle (Zamek Królewski na Wawelu) – Take a walk down the halls of what once was the main residence of Poland’s rulers, and see how they lived. The design of the castle is primarily in Renaissance fashion, with some Gothic elements. In its luxurious rooms, you will find Dutch and German Renaissance paintings, Baroque tapestry and furniture. The king’s chambers will surprise you with gilded and silver cutlery, dining sets, frames, and hand-tailored clothing. The castle’s armory keeps original shields, weapons, war trophies, and flags captured in battle. Wawel rises on a hill, above the Vistula River, and is a wonderful viewing platform of Krakow. The Cloth Hall (Sukiennice) – Translated from Polish, the word “sukiennice” literally means “the shops”. For the time of its construction, in the 14th century, this was an enormous market for fabrics and clothing. The building has not kept its original Renaissance façade, since it has been reconstructed several times. Today, the ground floor of Sukiennice is the Museum of Polish Fine Art and Wood Carving, and has many souvenir shops as well. Sukiennice is located at the Central Square. Square Underground (Podziemia Rynku) – As the name suggests, this landmark is located right underneath the Central Square. You will see 6000 sq. km of glass-encased displays with medieval artifacts, remains of buildings from the 13th century, coins and jewels. You can also take a walk down the streets of ancient Krakow, thanks to the museum’s multimedia projectors and holograms. The exhibitions are displayed in three long corridors. There is entertainment for children as well, in the form of educational games and animated movies, related to the city’s history. Town Hall Tower (Wieza Ratuszowa) – During the 14th century, this was the location of the city council. In 1820, that building was demolished, leaving behind only the tower, with its clock and figurines. After a large fire, the tower was completely destroyed and had to be rebuilt. Today, it is 70 meters of Gothic design, and houses a theater, a café, and a tourist information point. It rises above the Central Square in Krakow. Historical Museum of Krakow (Muzeum Historyczne Miasta Krakowa/ Krzysztofory) – It includes numerous landmarks and museums around the city. The central building contains an exhibition of items and documents, relevant to Krakow s history: maps, photographs, a collection of clocks from the 16th-19th centuries, weapons from different eras, artwork, traditional household items. The museum’s halls are often the ground for concerts, conferences, and public lectures. It is located on the Central Square, across from St. Mary’s Basilica. Krakow Barbican (Barbakan Krakowski) – It was part of medieval Krakow’s stronghold. It was built according to Gothic aesthetics, in 1498, for the purpose of guarding St. Florian s Gate. The Barbican s façade is round, with a diameter of 24 meters, and a narrow roofed passage, between the outer wall and the yard – used by the guard to move around the fortress. Today, the Barbican often hosts exhibitions, dance performances and sports events. St. Florian s Gate (Brama Florianska) – One of the 7 medieval gates of Krakow, and the only one still remaining. It was the main entrance into the city and was built in 1307. This is where Florian street (Florianski ulica) begins, favored by street painters, it leads to the Central Square. The gate is located right behind the Barbican. Czartoryski Museum – This is Krakow’s fine art gallery. Created in 1796, by Princess Izabela Czartoryska. Here you will find paintings, depicting the victory of Polish king Jan III Sobieski, over the Turks, near Vienna; masterpieces by Rembrandt, Leonardo da Vinci, Magnasco, Pieter Brueghel the Younger, and many more. The museum also has a collection of jewelry, cutlery and other fine items, donated by Polish noble families, as well as a chair that belonged to Shakespeare, dirt from the burial grounds of Romeo and Juliet, a rich collection of literary works. Jagiellonian University (Uniwersytet Jagielloński) – Welcome to the university where Nicolaus Copernicus received his education. This is the oldest higher education establishment in Poland, built in 1400, by Władysław II Jagiełło. You can take a tour of the library, the dining area, the professors chambers and the lecture halls. Within the university is also the museum Collegium Maius, where you will find statues and portraits of lecturers, furnishing from various eras, as well as the room, which Polish scientist Nicolaus Copernicus used to occupy. In his chambers you’ll be able to examine astronomical tools from the 15th century, as well as one of the oldest globes, from the beginning of the 15th century. On it, for the first time in world cartography, America was included. Jewish District of Kazimierz – During World War II, the Jewish residents of this neighborhood were rounded up, forced into the Auschwitz concentration camp and murdered. Today, Kazmierz is the epicenter of the cultural scene in Krakow. Here you will find plenty of bookstores, art galleries, antique shops, restaurants serving traditional Jewish dishes, and bars with live music. Many synagogues also remain in the district. Old Synagogue Zamośc – This is the oldest synagogue in the whole of Poland. Built in the 15th century, it was robbed and devastated by the Germans, during World War II. In 1956 Zamość was restored. Today, it houses a large exhibition, in honor of the lives and work of the Polish Jewish Population. You’ll learn about the rituals they use in marriage, birth, and death. Additionally, the district surrounding the synagogue was used as a setting in the movie “Schindler’s List”. It is located in the Jewish district of Krakow. Auschwitz – This is the largest Nazi concentration camp, the place where over 1 million people were murdered. The silence of this place says a lot. In the museum, you will see the abandoned suitcases of some of the victims, with their names still on them, as well as photographs and personal belongings. Buildings, huts, watchtowers, gas chambers, and cells have been preserved, to tell the terrifying story of the past and to inspire reflection. The concentration camp is located 50 km west of Krakow. Here you can find more information about Auschwitz. Rakowicki Cemetery (Cmentarz Rakowicki) – Apart from being the largest cemetery in Krakow, Rakowicki is a national historical monument with artistic value. The cemetery was first created during the 19th century, and ever since has been the burial ground for noble families, writers, politicians and war veterans. It is also where the parents of Pope John II were buried. The tombs and headstones in the park have been created by the best architects and sculptors in Poland. Every year, on All Saint’s Day, the cemetery is illuminated by thousands of candles. During the night it is a magical experience, as the light from the candles can be seen from far away. The cemetery is located in central Krakow. Wieliczka Salt Mine (Kopalnia Soli Wieliczka) – Everything here has been made out of salt – the floor, the walls, and the ceiling, with its chandeliers composed of salt crystals. The mine was first opened in the 13th century and has 3 underground salt lakes. Some of the mine;s most important guests were Copernicus, Goethe, Pope John Paul II. Its unique atmosphere attracts concerts, conferences, and festivities. Another part of the mine is the medical center, where you can stay in rooms made out of salt, and benefit from the ions are healing for the lungs. The mine is located 14 km away from Krakow. Museum of Pharmacy (Muzeum Farmacji) – Here you ll have the opportunity to see some of the original containers, used in medieval times, to prepare medicines, as well as medieval pharmacy furnishing, and a collection of apothecary scales. In the 17th century pharmacists uses to produce candles as well which is why the museum displays wax creations from that time. You will also learn about the manufacturing process. The museum is located on Florian street, in central Krakow. Restaurants in Krakow – No journey can ever be complete without a detailed exploration of the local cuisine. We’d like to recommend two delicious dishes. First is bigos – a traditional Polish recipe, which should definitely be sampled in Krakow. It is made out of a few types of meat, mushrooms, smoked meats, and pickled cabbage. You can try it in one of the so-called “milkbar” establishments, where traditional Polish dishes are served. As dessert time rolls around, have mazurek – a delicious sponge-like cake, whose uttermost layer resembles a pie and is filled with almond crème, dried fruits, jams, nuts, and whatever else you want. Traditionally, it is prepared around Easter, but can now be found year round, so go ahead and sample it as soon as you can. Sunday Markets in Krakow – The Sunday markets in Krakow are where you will find fresh produce, spices, antiques, jewelry, clothing, shoes, and all kinds of goods. Nightlife in Krakow – The Old Town district is the hottest nighttime spot. The narrow streets, surrounding the main square, hold cafes, beerhouses, restaurants, pubs, and nightclubs. The Jewish district has a variety of establishments as well. You can choose between jazz clubs with live music, rock bars, dance clubs, and restaurants with Polish traditional cuisine.